With the September summer persisting Dumfries won the season’s final game against Hillhead at Nunholm by thirty one runs in the sun. Dumfries batted first and Jerry Goodin and Chris Bellwood had assuredly taken the score past fifty when Bellwood was removed, caught and bowled for 26. 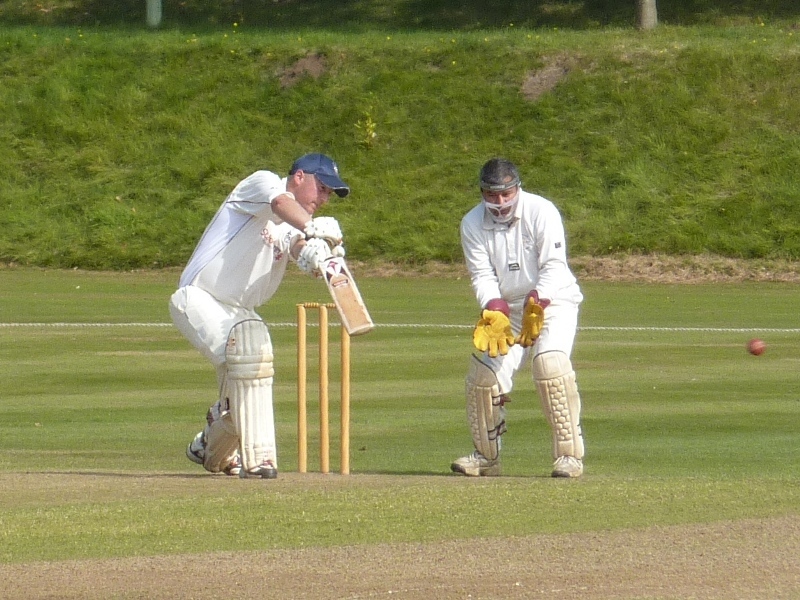 Chris Brockwell was another victim caught at mid –off after a brisk innings of nineteen, to have Dumfries at 78 for 3 after half of the forty overs. Opener Jerry Goodin then found a partner in Farries and the pair put together a seventy run partnership. The Carlisle Refrigeration Man of the Match, Goodin, reached his fifty aided by two clean boundaries hit over the top and when he was caught for the top score of sixty Dumfries had reached the one fifty milestone with just over five overs left. Wickets fell in the remaining overs as the attempt was made to boost the total. Farries was run out for a useful 29 and the Nunholm side finished on a defendable total of 179 for 8. Chris McCutcheon dismissed the two Hillhead openers with the score having reached 35 and then two wickets to the leg-spin of Bradley plus a sharp run out by Niall Alexander positioned Hillhead at 95 for 5 with 12 overs left. However number three Ali kept Hillhead interested in the chase, just, as he accelerated his scoring with two big sixes. Brockwell and McCutcheon came on to successfully tighten up the game and the latter had Ali caught, by Brockwell, for 56 as he skied a catch to mid-off. Then Brockwell contributed a wicket stumped as McCutcheon, at the other end, cleaned up the remaining wickets to finish with match figures of 6 for 32. Hillhead ended on 148 all out to complete an enjoyable friendly on a warm day for the final Dumfries fixture of the season.